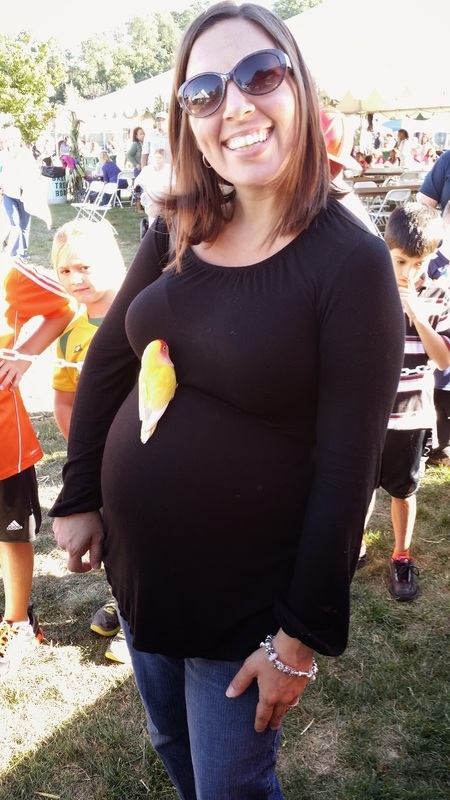 Greentree Octoberfest - That Guy with the Birds! Buttercup posing with our youngest fan yet! Hope to see Mom and baby next year! Great weekend in Greentree for their Octoberfest celebration! Saturday was a little on the cool side and overcast but that didn't stop the crowds from coming out to see the birds! Sunday was a picture perfect day with even bigger crowds! Always so much to see and do at this event including a petting zoo, HUGE bounce houses for the kids, a terrific car cruise as well as bands on stage throughout the days! As always we'd like to thank Greentree for asking us back this year and a very special thanks to this years sponsors UPMC Center For Rehab Services & The Hop House Wood Fired Food & Ale! Pictures from Octoberfest in Greentree!